Hexagon Ragasco is the world’s leading producer of composite LPG cylinders with around 9 million units in commercial use. The high-volume highly automated production facility in Raufoss, Norway is the most advanced of its kind world-wide. We are committed to quality, safety and innovative solutions that add value to our customers and preserve our environment. Since their introduction in 1996, our products have been offering enormous advantages to all concerned in the value chain: from gas companies to private and state-owned gas distributors on all continents and most importantly, to the end-consumers. As a global leader, Hexagon Ragasco is committed to ensuring competitiveness and profitability in its operations. 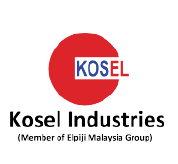 Kosel Industries Sdn Bhd (member of Elpiji Group) is the proud Malaysian manufacturer of ATEX-approved ELIXIR range of electronic LPG filling equipment and Kosangas LPG vaporisers. Our corporate office is in Kuala Lumpur and our factory is located in Penang. We have supplied our ELIXIR and Kosangas equipment to more than 50 countries spreading over 5 continents to national and multi-national oil and gas companies. Kosel Industries played a major part in supporting Pertamina's 3-kg cylinder program. From stationary filling machines, movable filling container to high speed filling carousel, we supplied different types of filling equipment to cater to our clients' different filling needs. Over the last few years, we have supplied and installed more than thousands of filling machines all over Indonesia. Even the most advanced filling equipment is nothing if there is no adequate backup service. We understand the importance of efficient and dedicated technical backup service. More than ten years ago, we established our own service team here in Jakarta so that we can provide quick on-site assistance to our clients all over Indonesia. Kosel Industries is continuously striving to further improve our filling equipment and services for all our clients in Indonesia. We sincerely look forward to the opportunity of rendering our services to you. Please call Firman Fajerianzah Feri, our Technical Service Manager (mobile no. : +62 812 1077292) for further information. As a state-owned company engaged in oil and gas business along with other related business activities both inside and outside the country, Pertamina strives to provide the best and a real contribution to the welfare of the nation in utilizing every potential of Indonesia. The LPG Summit is a series of events that are hosted across the world in aim of the promotion of the global LPG industry. The summit’s primary focus is to act as a platform for vendors, gas companies, LPG associations and regulatory bodies to discuss and share the most recent developments in technology, safety and application of LPG. Currently there is a Middle East LP Gas Summit, an African Gas Summit and a number of Asian LP Gas Summits which are held at various locations throughout the year. The summits offer conferences, exhibitions, training and networking sessions in one single package over two to three days. 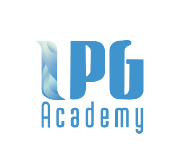 The summits are supported by the WLPGA and are conducted in conjunction with the LPG Academy. The World LPG Association (WLPGA) is the authoritative voice of the global LPG industry representing the full LPG value chain. 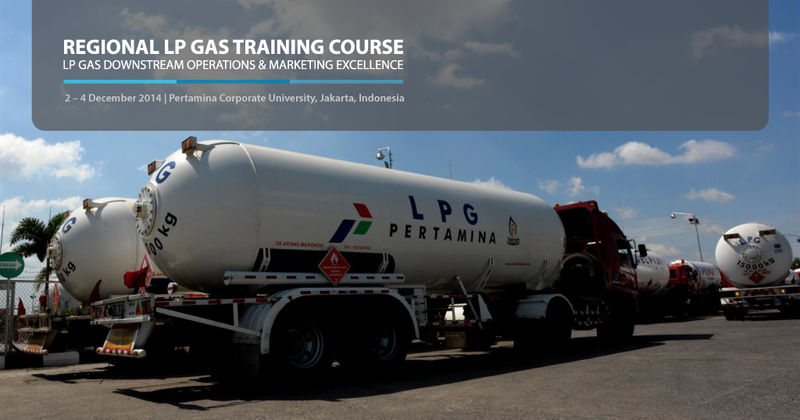 The primary goal of the Association is to add value to the sector by driving premium demand for LPG, while also promoting compliance to good business and safety practices. The WLPGA brings together private and public companies involved in one, several or all activities of the industry ; develops long-term partnerships with international organisations ; and implements projects on local and global scales. The Association was established in 1987 and granted Special Consultative Status with the United Nations Economic and Social Council in 1989. As the authoritative global voice for LPG, the WLPGA promotes the use of LPG worldwide to foster a cleaner, healthier and more prosperous world. Promote compliance with standards, good business and safety practices. LPG is an exceptional energy source due to its origin, benefits, applications and its industry. With an immediate and global availability, environmental benefits, its natural by-product origin, transportation flexibility and diverse application, LPG plays a pivotal role in the transition towards a more secure, sustainable and competitive energy model. The WLPGA has created the global LPG Exceptional Energy brand to raise awareness of the exceptional features of LPG among policymakers, industry and consumers. An increased understanding of LPG’s environmental benefits, versatile applications and its immediate global availability is of the essence to allow conscious and responsible decisions on the type of energy sources used.